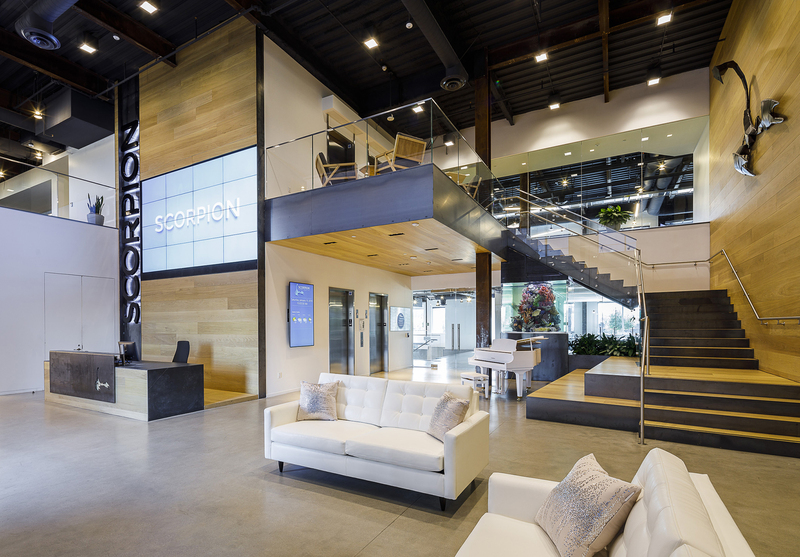 This build-to-suit project involves the creation of a four-story office building for Scorpion’s headquarters. The facility features a half basketball court, open creative office space, a 1,267 gallon museum grade salt water aquarium, a full-service kitchen, juice and coffee bar. The building structure has a steel frame, pre-cast, and glass curtainwall exterior.